Here you can find the latest press releases from Generational Equity, including details of our most recent M&A transactions as well as our comments and forecasts about the M&A market. 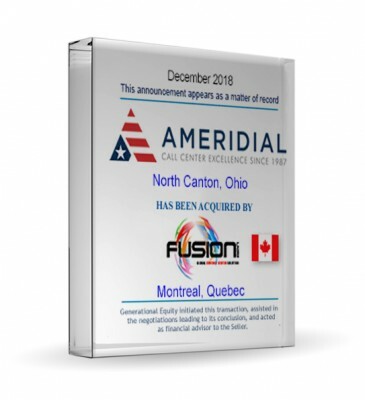 Generational Equity is pleased to announce the sale of its client, Ameridial Inc., to Fusion BPO Services. 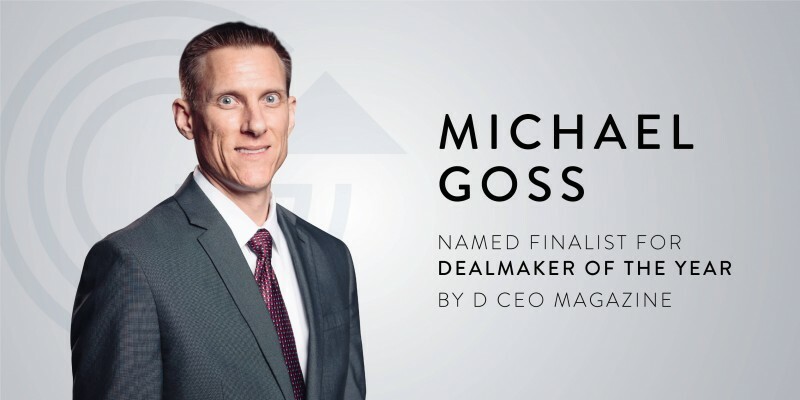 Generational Equity is pleased to announce that Michael Goss, the firm’s Executive Managing Director of M&A – Central US, is one of 18 finalists for D CEO Magazine’s Dealmaker of the Year in their 2019 Mergers and Acquisition Awards. 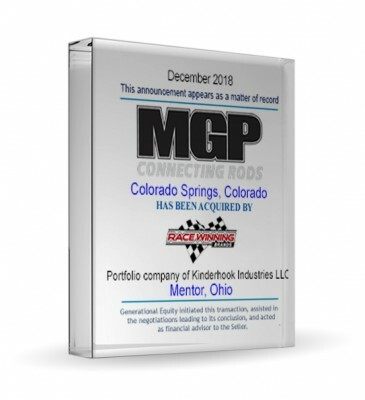 Generational Equity is pleased to announce the sale of its client, Giannone Performance Products Inc. dba MGP Connecting Rods, to Race Winning Brands, Inc., a portfolio company of Kinderhook Industries LLC. 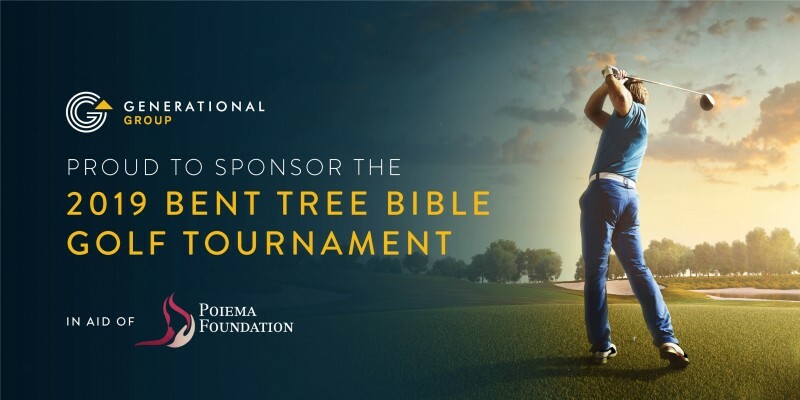 Generational Group is pleased to announce its sponsorship of the Bent Tree Bible Golf Tournament benefiting The Poiema Foundation. 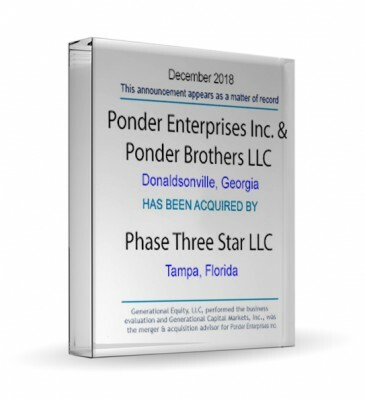 Generational Capital Markets is pleased to announce the sale of its client, Ponder Enterprises Inc. and Ponder Brothers LLC, to Phase Three Star LLC.